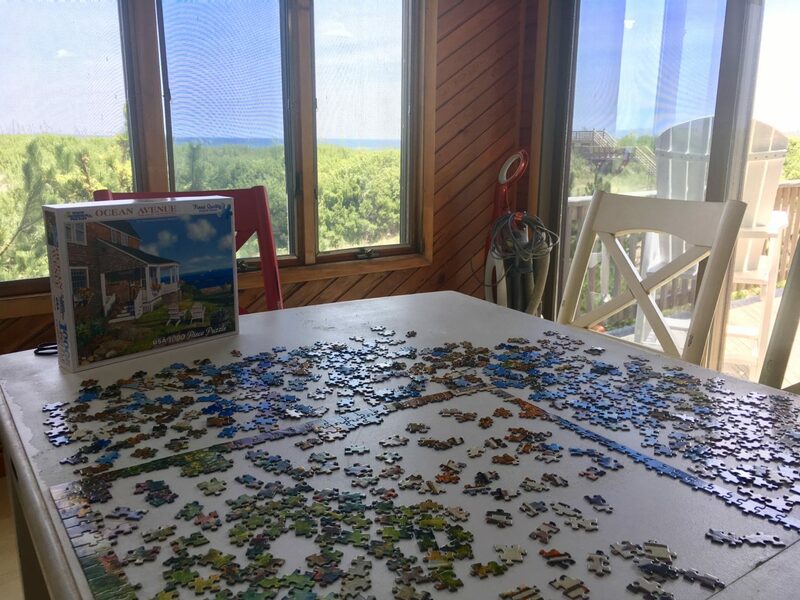 This past summer, knowing that our move to Colorado was imminent, Dan and I invited both of our families to spend a week together in Outer Banks, North Carolina. 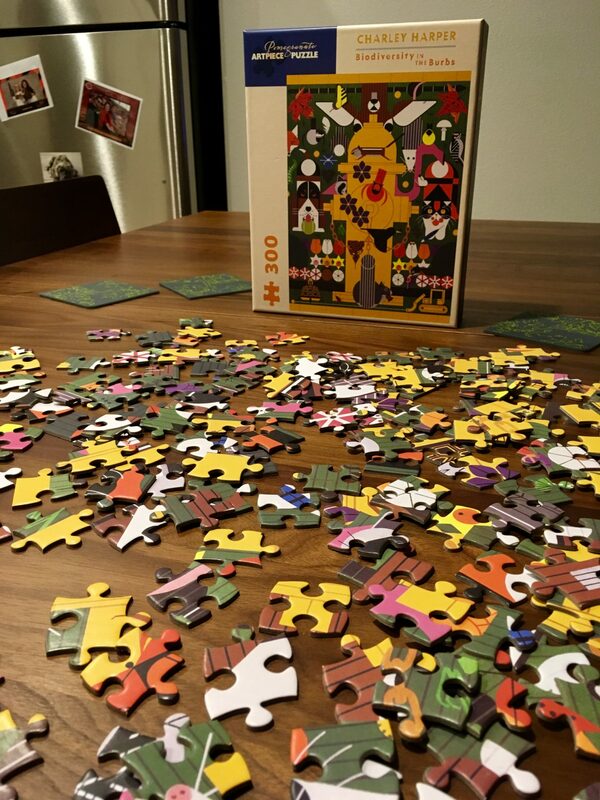 The sleeper hit of that trip was a jigsaw puzzle by grandmother purchased — by the end of the week, it had absorbed nearly everyone in the house. 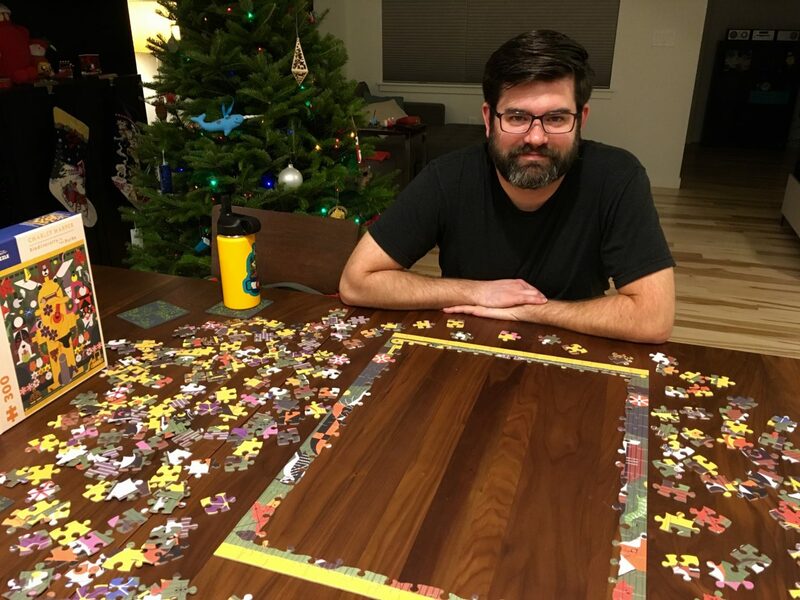 This puzzle is only 300 pieces and Harper’s geometric style makes it fairly simple. Still, it makes me feel closer to home — or closer to the beach, which ain’t bad either. Take me back to the beach……..!